Boarding school is great for Middle School, but why? From 6th Grade through to 8th Grade, children will learn a myriad of important skills and concepts that form the foundation of later learning. However, a well-rounded education consists of more than academics; it also includes physical and emotional development. As such, we believe that boarding schools like Brillantmont provide the best environment for children to develop both in and out of the classroom, fully immersed in education, sports, extra-curricular activities and the care and support of their teachers and peers. The three formative years of Middle School are fundamental in preparing a child for the next four years of High School. Our Middle School programme has been designed to offer children a broad base of options when it comes to their future. It is important to cover a full range of subjects, including drama, music, citizenship and art, as even though a student may not wish to continue these subjects later, they part of an individual’s general culture and develop useful skills. Boarding schools must also think about a student’s development when not in the classroom, and as such our timetables include sports and time for extra-curricular activities. Students can get involved with any one of our musical groups, take an interest in foreign affairs with the Model United Nations (MUN) or become involved with fundraising for the humanitarian organisation Habitat for Humanity – all of which can serve to broaden eager young minds. In addition, we also ensure that Middle School children’s lives are enriched by the chance to participate in some high quality educational visits to countries across Europe. This flexibility means that given the truly international and culturally diverse make-up of our student body, your child will have the all-rounded, balanced education they require at Middle School level, which they can then build on at High School, regardless of the examinations they take. 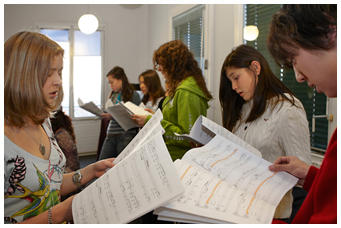 With a rich, varied and diverse academic program, fantastic pastoral care, a safe, healthy environment in which to learn and play, not to mention extensive social activities and programmes, Brillantmont International School in Lausanne is an ideal choice for parents seeking the ideal Middle School education for their child.